Thank you for your interest in the Animal and Range Sciences Department. We realize students can select from a variety of educational institutions and programs. However, we feel our programs stand above the rest. We are dedicated to our students’ education and career advancement. This is indicated by the depth of our curriculum, our investment in field laboratories, interactive class projects, and our commitment to helping students gain valuable work experience. Choosing a major can be challenging. Take a look at "Your Career" page that describes our majors, and links your interests with a major and possible career opportunities. The mission of the Animal and Range Sciences Department is to create, evaluate and communicate science-based knowledge to enhance the management of Montana’ s livestock and rangeland resources in ways that are economically, socially and ecologically sustainable. One of the many ways we accomplish our mission is through the expansive efforts of MSU Extension Specialists and Associates in the Animal and Range Sciences Department. The department has faculty and staff dedicated to all aspects of the animal production industry, including water, range and pasture, and wildlife management, nutrition, reproduction and meat products. This dedication is transferred to our students. 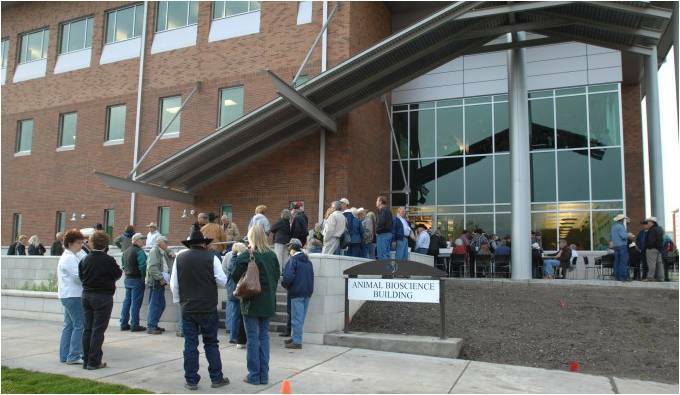 The current enrollment in Animal and Range Sciences is approximately 330 students. We strive to keep our class sizes small to encourage greater teacher/student interaction. MSU is located in the heart of the Gallatin Valley. 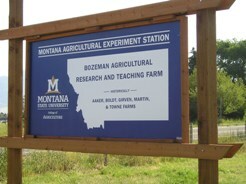 Our location provides an exceptional experience for animal and range science majors. The degree programs are supported by field laboratories and facilities that are unparalleled by any other public university. The university is close to large ranches, national forests, wilderness areas, and national parks. Class projects are routinely conducted in cooperation with land managers in business and government agencies. Internships are available with a variety of ranches, businesses, and agencies associated with livestock and natural resource management. There is no substitute for a personal visit — seeing is believing. So, please visit us. Many students find it very beneficial to walk the campus, explore the library, sit in on classes, visit the residence halls, and tour the department. While on campus, you can meet with an admissions counselor to gain more information about enrollment, scholarships, career choices, etc. You can meet with us to learn more about our department and visit with our students, faculty, and staff. Please call 406–994–5582 to set up an appointment.